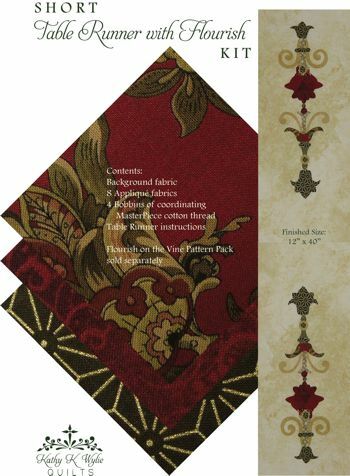 Make a 12″ x 40″ table runner with flourish using this convenient kit! An elegant combination of greens, reds, and golds would look beautiful at Christmas or all year round. Flourish on the Vine Pattern Pack sold separately.